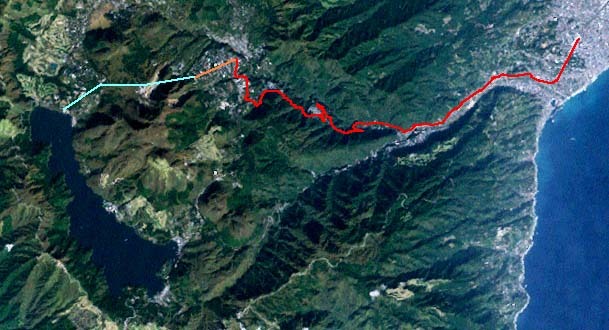 visitors to and from Lake Ashinoko. 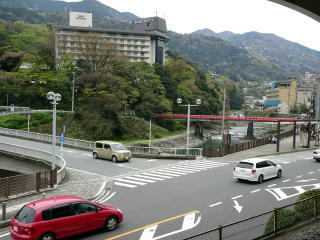 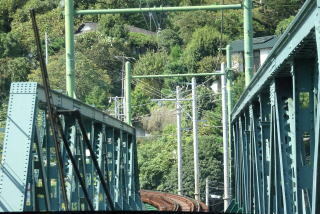 (L) Komine Tunnel, 286 m: There is the Odawara Castle in the right upper hill. 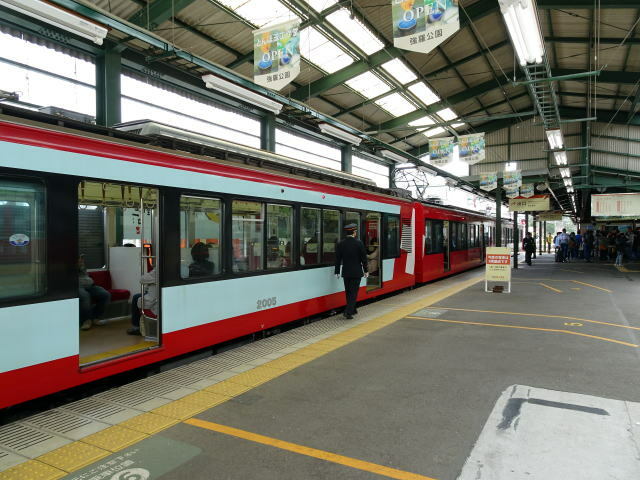 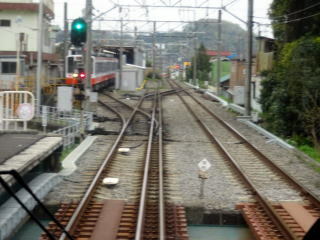 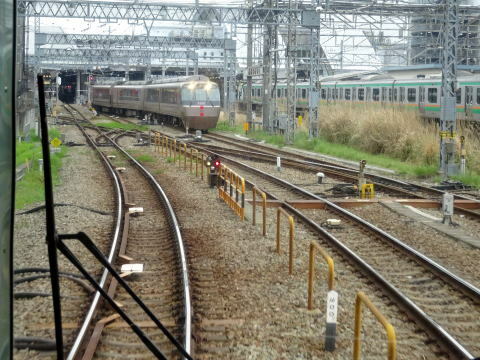 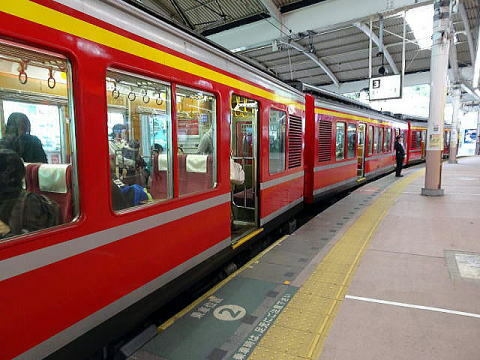 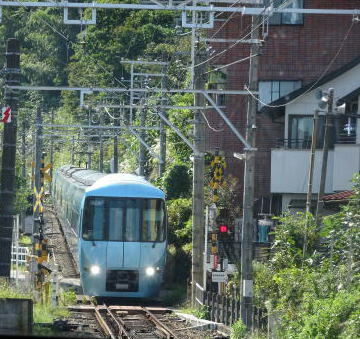 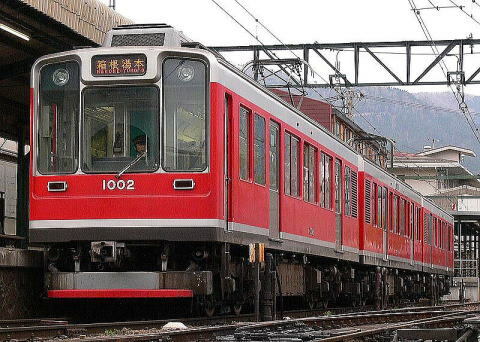 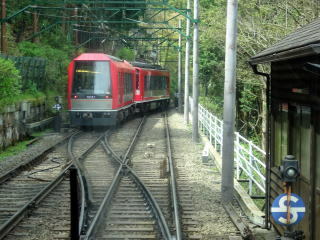 (L) Hakone Tozan Railway runs in parallel to JR Tokaido Line. 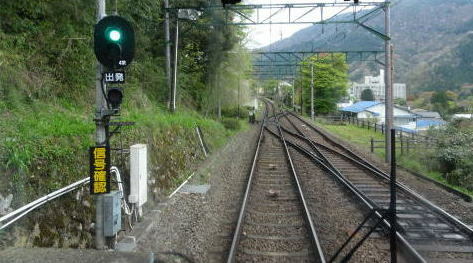 (R) A dual gauge from Hakone-Yumoto station is terminated at Iriuda Station. 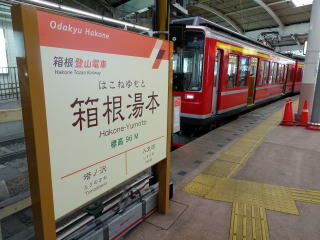 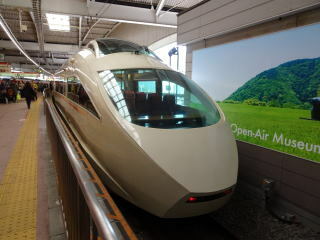 A super-express Odakyu train is running on the railway near Hakone-Yumoto station. 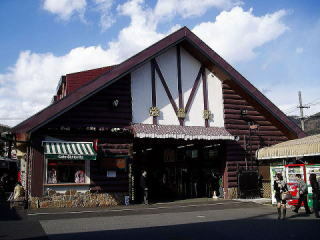 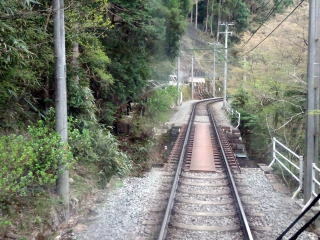 This scene is the area between Hakone-Yumoto and Iriuda stations. 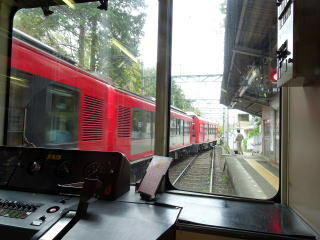 (L) Hakone-Yumoto area (R) Super-express 50000 that is parked at Hakone-Yumoto Station. 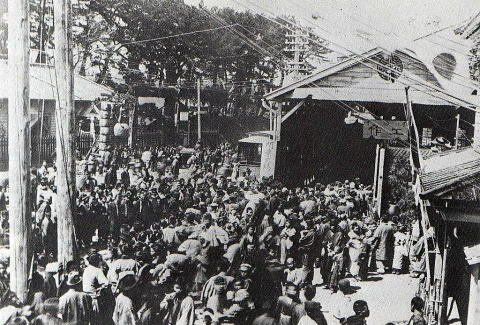 (R) The opening ceremony was held in April 1900. 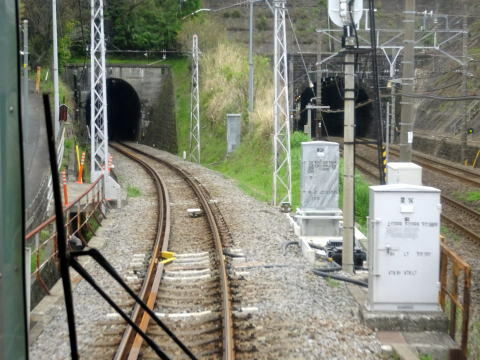 (R) A tunnel, that is attached to the platforms of Tohnosawa Station. 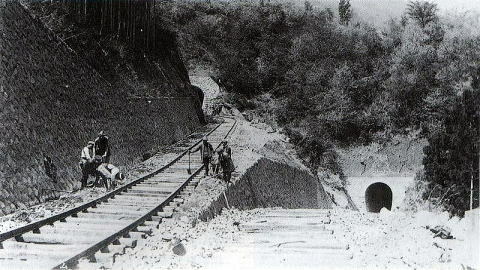 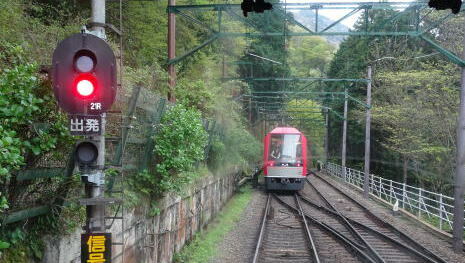 Three switchback stops help a train in climbing a steep slope in a mountainous region. 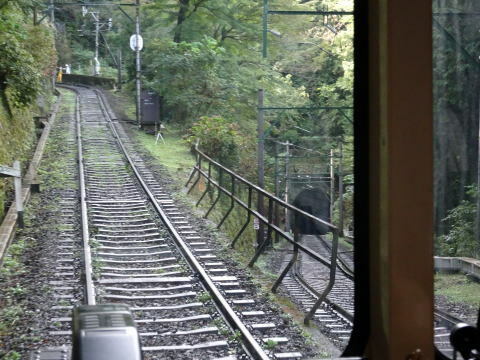 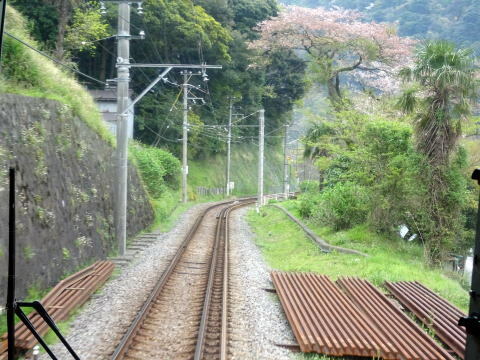 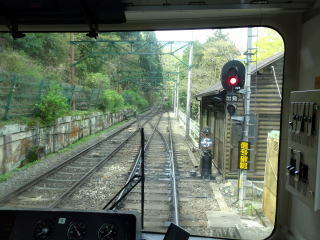 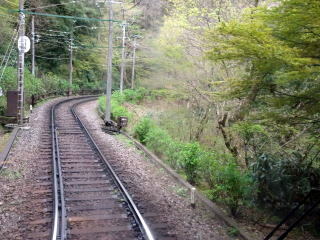 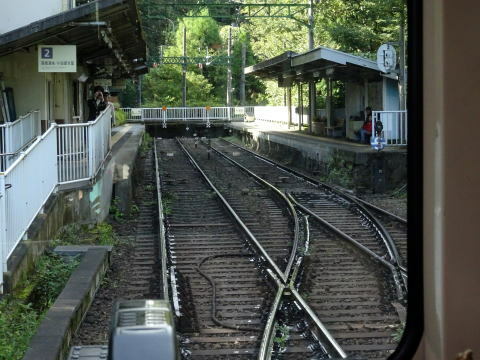 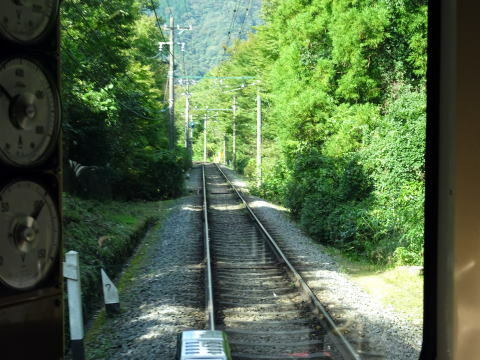 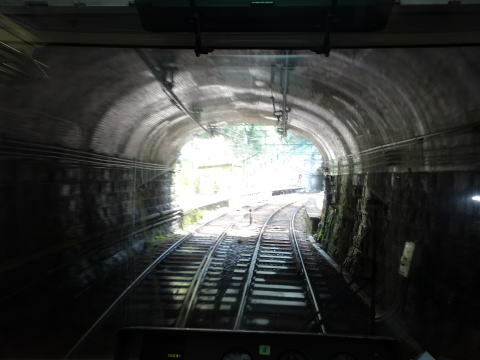 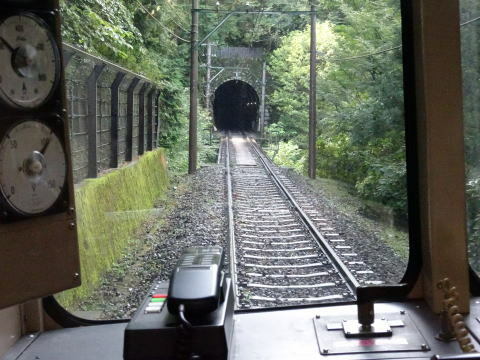 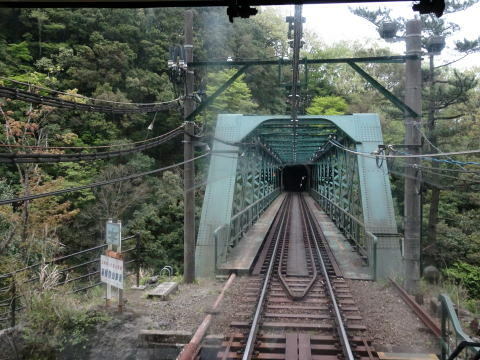 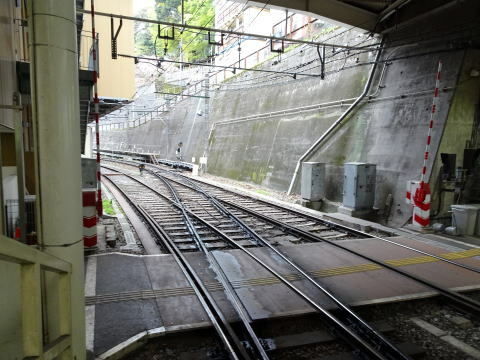 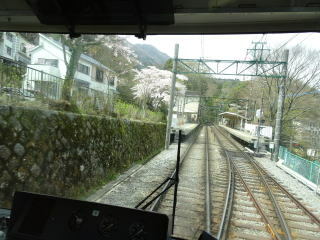 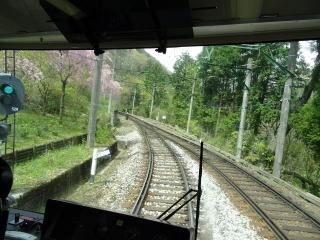 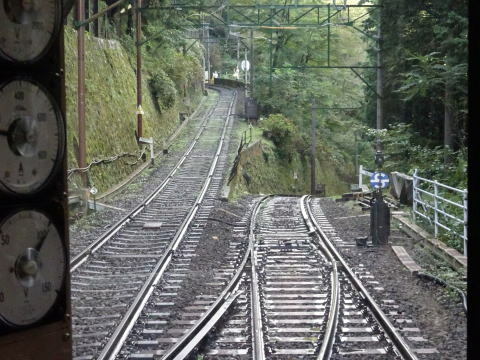 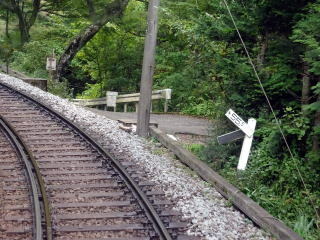 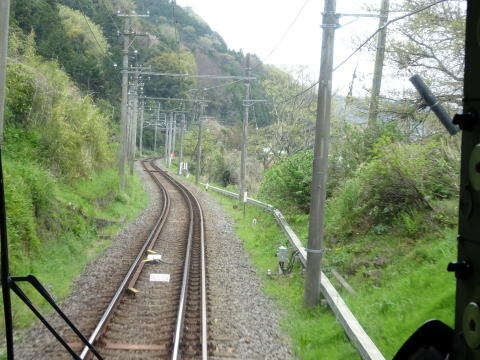 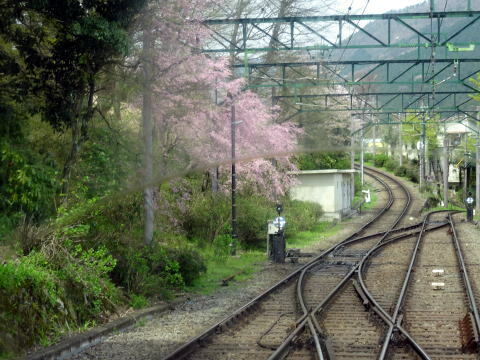 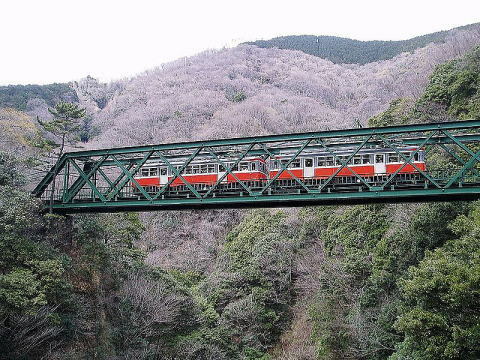 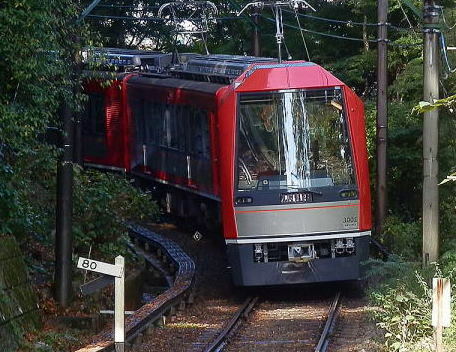 Hakone Tozan railway tracks have three switch-back sites to climb a mountainous slope. 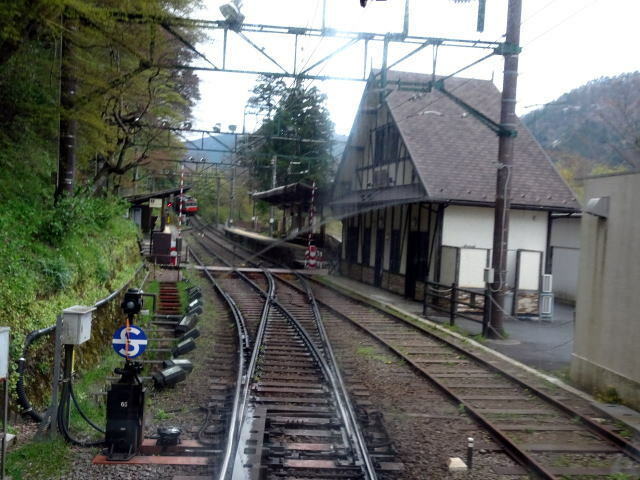 (L)Ohiradai Station is the station to provide a train to switch back. 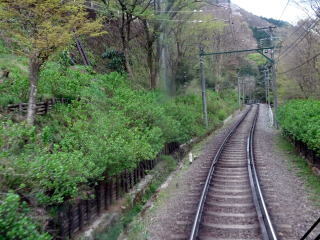 (R) A steep slope of 80‰, gradient index is 80 mule, the maximum throughout Japan. 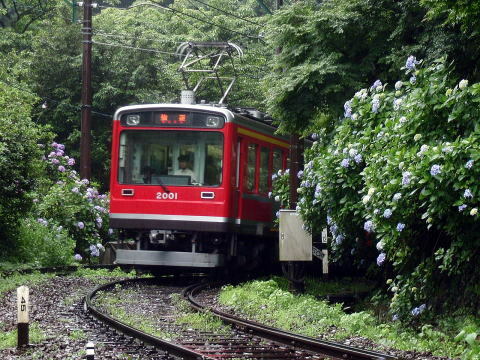 (R) The 2000-St.Moritz type Hakone Tozan Railway train is running between gregarious hydrangea. 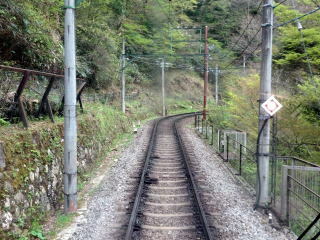 After a straight track, it will follow a curved track in a mountainous area. 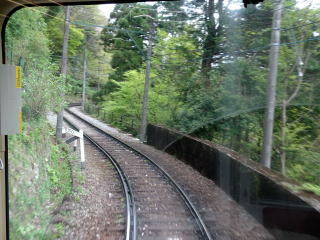 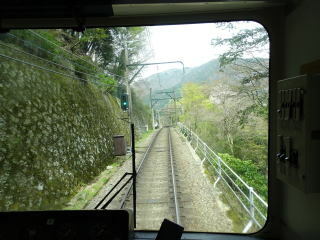 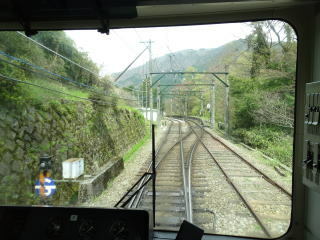 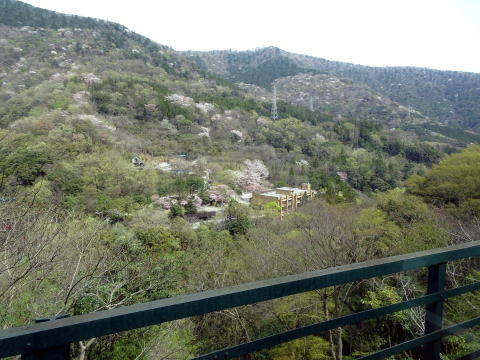 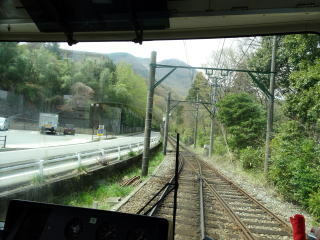 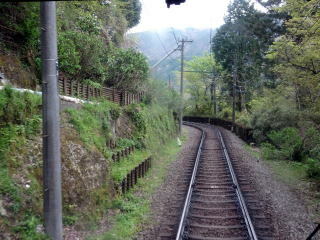 Hakone Tozan railway track runs through the mountainous area. 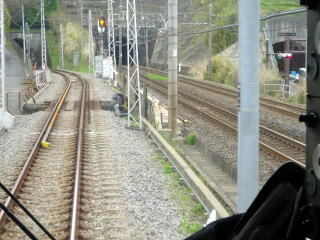 (L) Kami-Ohiradai signal station (R) The 3000-Allegra type train is entering to the switchback signal station. 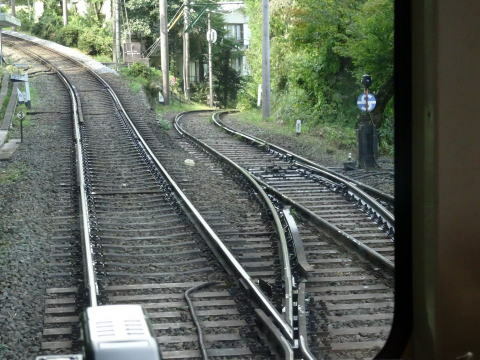 (R) On the maximum curve of radius 30m, vehicle of the first and last pert of the 3-car trains will create an angle of about 120 degrees. 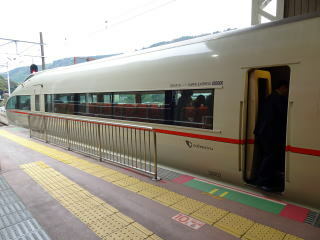 1000-Brnina2 Hakone Tozan Railway train at Goura Station is ready to leave for Hakone-Yumoto at Goura Station. 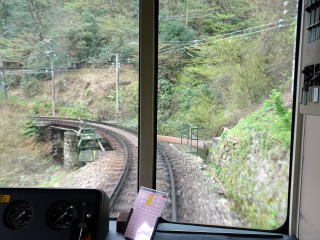 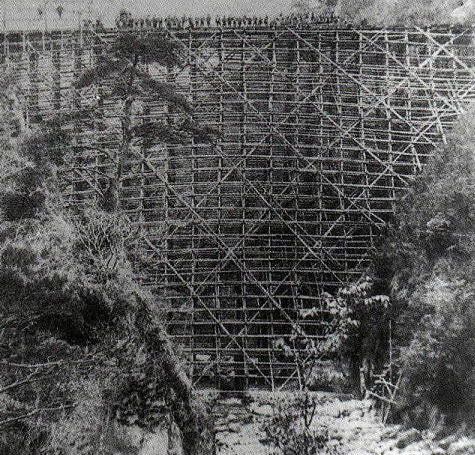 Each vehicle has two water tanks of 350 liter to run a very sharp railway track. 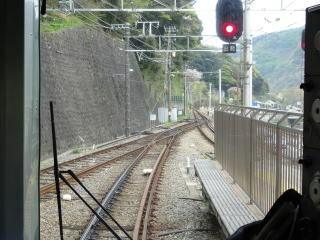 there are switchbacks, where the driver and the conductor change shifts and the train switch to reversed travel direction. 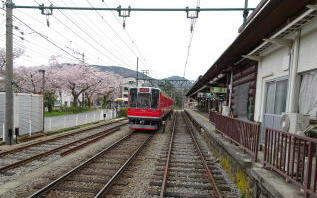 Photographs were added in October 2016 and April 2017.